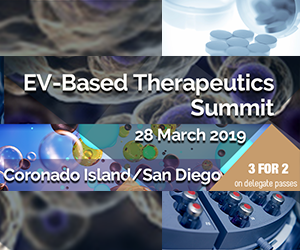 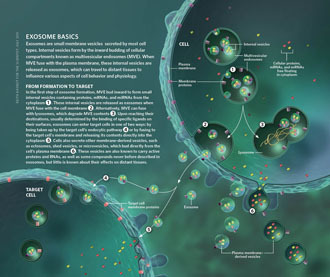 Exosomes are vesicles which have garnered interest due to their diagnostic and therapeutic potential. 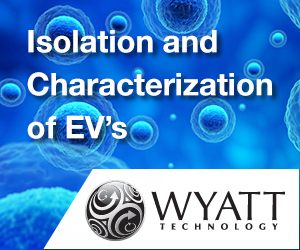 Isolation of pure yields of exosomes from complex biological fluids whilst preserving their physical characteristics is critical for downstream applications. 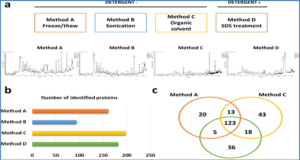 In this study, researchers from the University of Queensland use 100 nm-liposomes from 1,2-dioleoyl-sn-glycero-3-phosphocholine (DOPC) and cholesterol as a model system as a model system to assess the effect of exosome isolation protocols on vesicle recovery and size distribution using a single-particle analysis method. 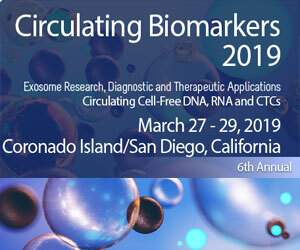 They demonstrate that liposome size distribution and ζ-potential are comparable to extracted exosomes, making them an ideal model for comparison studies. 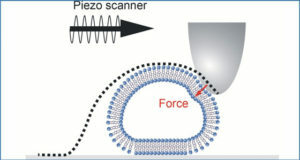 Four different purification protocols were evaluated, with liposomes robustly isolated by three of them. 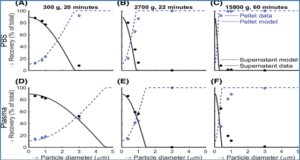 Recovered yields varied and liposome size distribution was unaltered during processing, suggesting that these protocols do not induce particle aggregation. 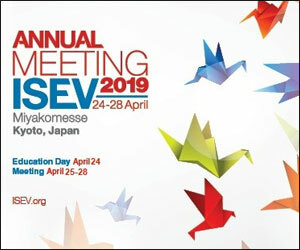 This leads them to conclude that the size distribution profile and characteristics of vesicles are stably maintained during processing and purification, suggesting that reports detailing how exosomes derived from tumour cells differ in size to those from normal cells are reporting a real phenomenon. 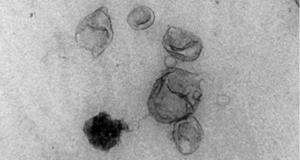 However, the researchers hypothesize that larger particles present in most purified exosome samples represent co-purified contaminating non-exosome debris. 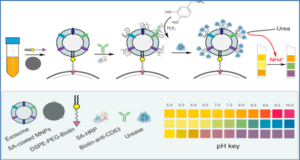 These isolation techniques are therefore likely nonspecific and may co-isolate non-exosome material of similar physical properties. 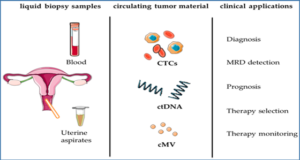 Particle size distributions of isolated exosome samples as measured by DLS and TRPS.